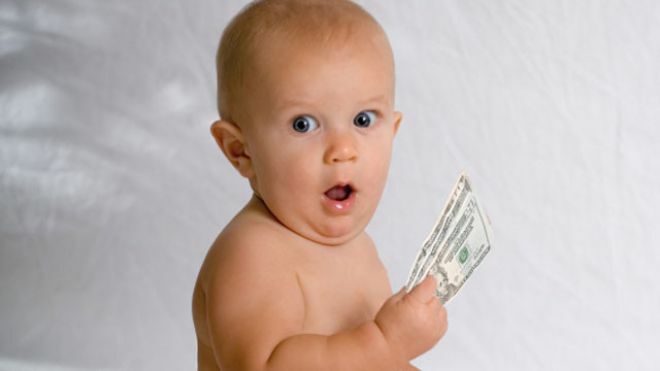 Saving Downsyndrome » How much is your child worth? How much is your child worth? Do you have a loved one with Down syndrome? Have you ever wondered how much they are worth? Give or take a bit in kiwi dollars – that’s 38,000 British Pounds at today’s exchange rate. That programme was implemented in 2010. The report is quite long, running to 68 pages. It mostly covers technical aspects of screening and the practicalities of delivering a national screening programme. It also talks about the costs effectiveness of running a national screening programme for Down syndrome. That is from the Action T4 euthanasia programme. 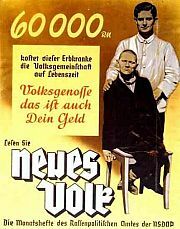 Eugenics. See how they both talk about the costs (read “burden”) of care as a justification for not having them amongst us. In the section on “benefits of screening” there is no identification of any therapeutic benefit to the one with Down syndrome, or the mother. Termination is mentioned 17 times in the report. Bottom line. If you have a child with Down syndrome, they reckon they’re worth $74,768.91, more or less. That’s how much of our money they are happy to spend to stop our children being born. With a default rate of 79.3% of all pregnancies involving Down syndrome. Bottom line. A termination rate of 79%, more or less, makes an effective national screening programme. It looks like others may have a different agenda. It would seem to be more about money and termination rates. We would prefer unconditional love, acceptance and respecting basic human dignity. Germany, 2013: Only 4% of disabled persons are disabled from birth on. What was unacceptable about the German policy (how does implying those who disagree with your stance are Nazis jive with being ‘nice’?) was the execution of innocent citizens. This is providing an option to avoid the birth of children that their parents may not be equipped to truly care for. How is it ‘nice’ for you to insist families choose a certain way when it won’t be you living with the practical (including financial) ramifications? Each of the families being informed through this screening will be making a decision of their own, and you don’t get to bully them afterward for it. Mark, In both the Nazi example and New Zeland’s report people with disabilities are viewed as potential burdens. What other group of people can we single out? Do they encourage a poor woman to abort by painting a grim picture of generational poverty (very common here in the US in both the ghettos and Appalachia for example). What about people with a history of opioid use? Neither one is really equipped to care for a child average or not. If we are really trying to ensure that parents can properly care for a child (so as to prevent future burdens on society) let’s not single out just one group. That would be discriminatory, wouldn’t it? And as for bullying…it’s this very information that is used to bully a parent of a child with disabilities. Unfortunately medical professionals do sometimes persist in discussing abortion when they’ve been told no. And then you get the random stranger either on the Internet or in person who assumes your child is a burden to society (not so).